Rick Chandler is curator of the Bainbridge Island Historical Museum. Together with Ken Balcomb, he is also the author of Killer Whales: Magnificent Creatures of the Salish Sea (2016). 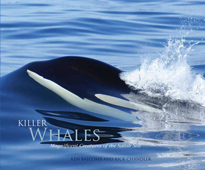 The book, published by BIHM and the Center for Whale Research, is based on a museum exhibit and looks at the whales' capture, research, and survival. 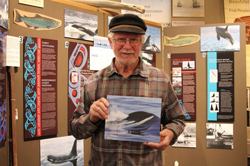 For more information see http://www.bainbridgereview.com/life/killer-whales-shared-tales-from-the-bainbridge-island-historical-museum-curator/.